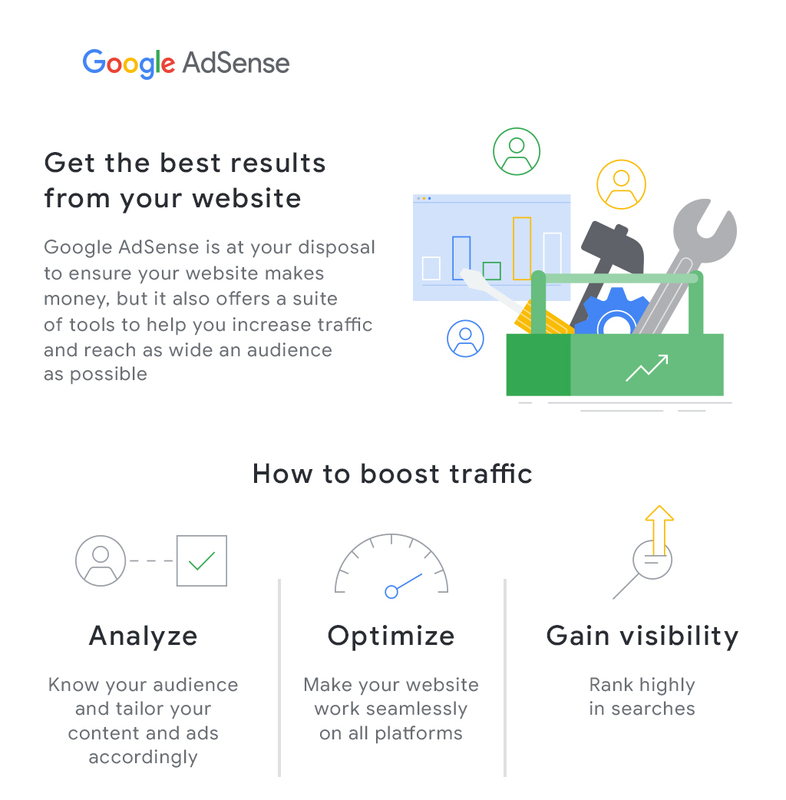 We're excited to share with you our infographic with important tips on how to boost and optimize your web site traffic. This entry was posted in Inside AdSense and tagged AdSense on January 8, 2019 by John A.Smith. This entry was posted in Inside AdSense and tagged AdSense on December 12, 2018 by John A.Smith. As a publisher, there are many challenges you face. One area of interest for any publisher is how can you grow your user base, while maintaining high quality, policy-compliant content and traffic. 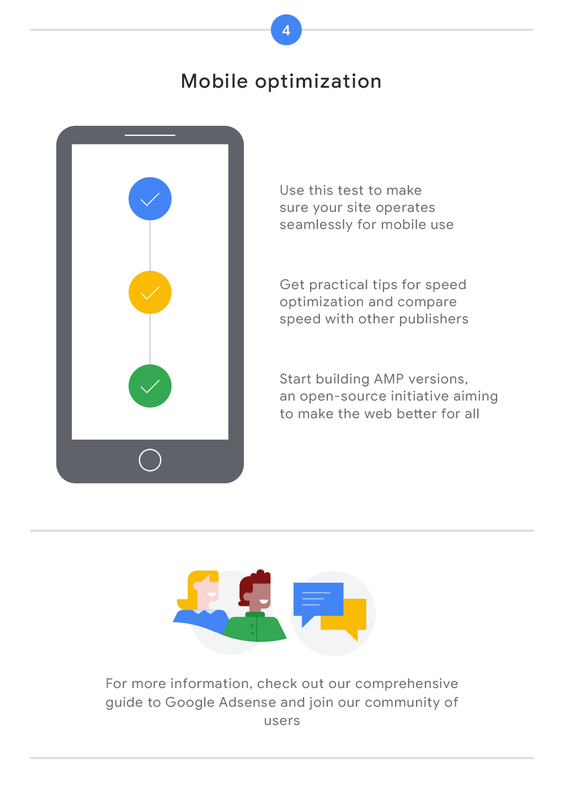 At Google, we strive to create policies that are designed to enable a healthy digital advertising ecosystem. We consider the needs of each party - users, advertisers and publishers, and want all players to thrive. The first step is to read and understand our policies. These policies are posted in our Help Center, with specific FAQs called out for ease of reference. For new publishers, we created a beginner’s guide to highlight some of the most commonly violated policies. We want publishers to be proactive about tackling invalid traffic. 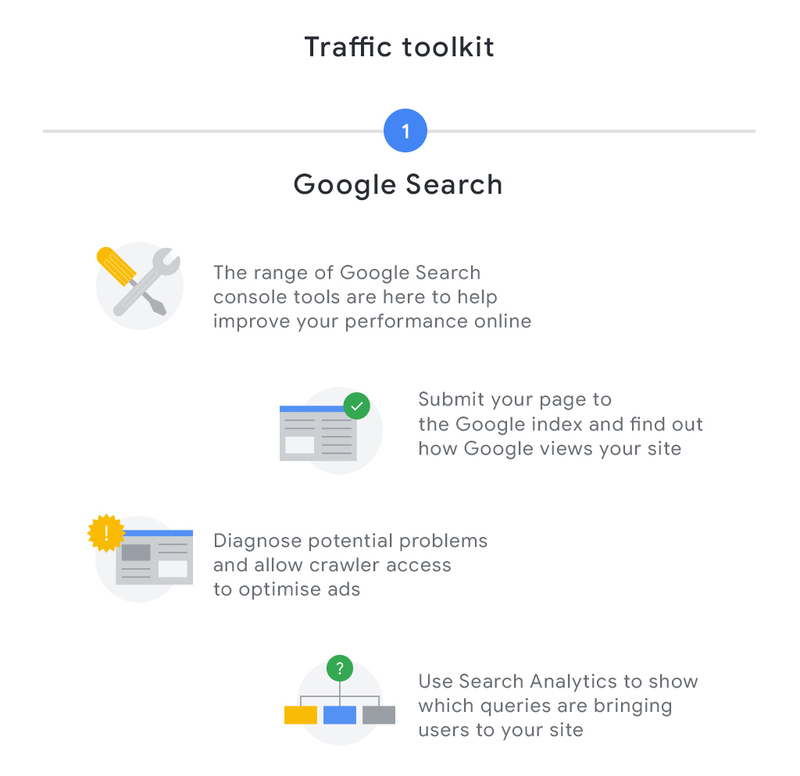 We’ve developed an Ad Traffic Quality Resource site designed to help publishers better educate themselves on what invalid traffic is, the risks that invalid traffic poses to their businesses, how to identify invalid traffic, and how to mitigate this type of traffic. The Trustworthy Accountability Group (TAG) also has a growing library of resources that can provide additional context and best practices on this topic. 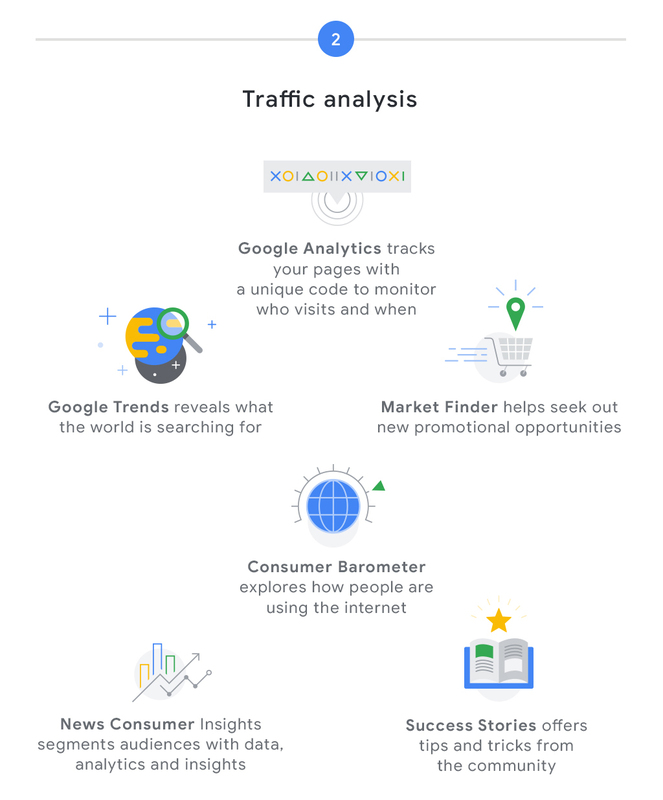 As part of your daily ritual, you should understand what typical traffic patterns for your website look like. Anomalies, especially on non-business hours’ or holidays, are signs of potential trouble. As part of metrics review, set aside time each month, or where appropriate for your business, to train and review traffic sources and patterns with your team. We provide guidance for linking analytics to AdSense to help facilitate this process. In addition to reviewing your own traffic on a daily basis, it’s important to regularly audit traffic from your partners. When working with partners, be diligent. Ask for traffic sources, and any optimization plans your partners may have, and educate your team to recognize suspicious behavior. Investing in good user experiences benefits the entire ecosystem. Work with partners that feel the same way. Trust, but verify. Only work with partners who adhere to best practices for sourcing traffic and growing their businesses, and require all partners to uphold safe standards when it comes to sourcing traffic and providing great user experiences. Feel empowered to ask hard questions and demand answers from those you work with, and set up time to review and analyze inventory that you’ve purchased. If you don’t feel like you are getting the responses you need, find other partners that are more responsive. Understand what’s too good to be true and watch for it. Build bridges with quality inventory sources and partners, and put up barriers between you and those who prove untrustworthy. Many potential publishers, ad network and programmatic partners can have traffic quality that can vary quite significantly between various providers. Lastly, and most importantly, serving your end users needs should be at the heart of what you do, and a top priority. Your entire business should be focused on your customer - the user. Websites with great, unique content have lost loyal users due to deceptive navigation, or poor and/or numerous ad placements. Great content is only part of your job. Providing a straightforward, safe, easy to navigate, and uncluttered site experience is also important for users to return to your site. We hope these tips have been helpful. As always, please review our Help Center, and keep providing us with feedback. This entry was posted in Inside AdSense and tagged AdSense on December 10, 2018 by John A.Smith. This entry was posted in Inside AdSense and tagged AdSense on December 5, 2018 by John A.Smith. Our new video takes a deeper dive into our User-generated content policy and describes how this policy helps to enable a healthy digital advertising ecosystem for users, advertisers, and publishers. We hope this video helps you to better understand our User-generated content policy. For more information, you can learn more about AdSense policies in our help center. This entry was posted in Inside AdSense and tagged AdSense on November 26, 2018 by John A.Smith. This entry was posted in Inside AdSense and tagged AdSense on November 13, 2018 by John A.Smith. We hope this video helps you to better understand our Dangerous or Derogatory Content policy. For more information, you can learn more about AdSense policies in our help center. This entry was posted in Inside AdSense and tagged AdSense on November 8, 2018 by John A.Smith. We hope this video helps you to better understand our Accidental Clicks policy. 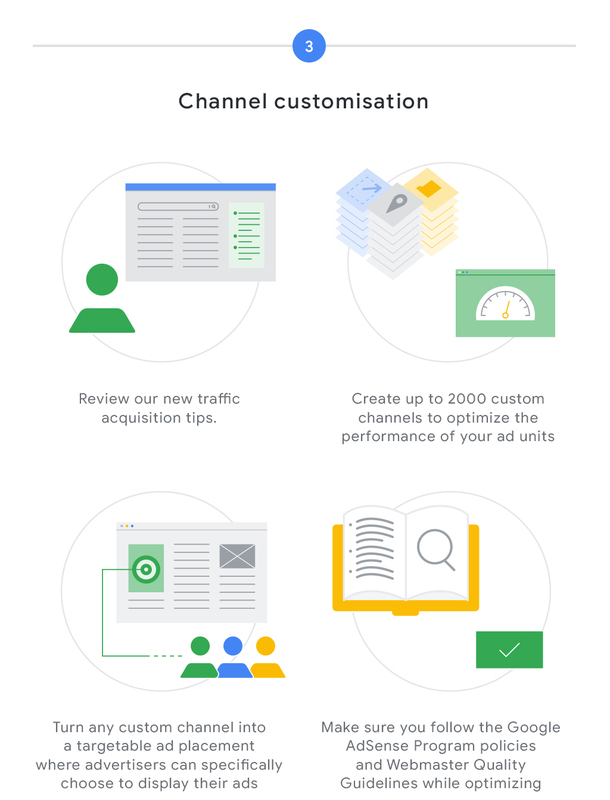 For more information, you can learn more about AdSense policies in our help center. This entry was posted in Inside AdSense and tagged AdSense on November 6, 2018 by John A.Smith. For the next few weeks we'll be releasing several videos, providing a more in depth look into various policy topics. We hope this video helps you to better understand our Misrepresentative Content policy. For more information, you can learn more about AdSense policies in our help center. This entry was posted in Inside AdSense and tagged AdSense on November 2, 2018 by John A.Smith.